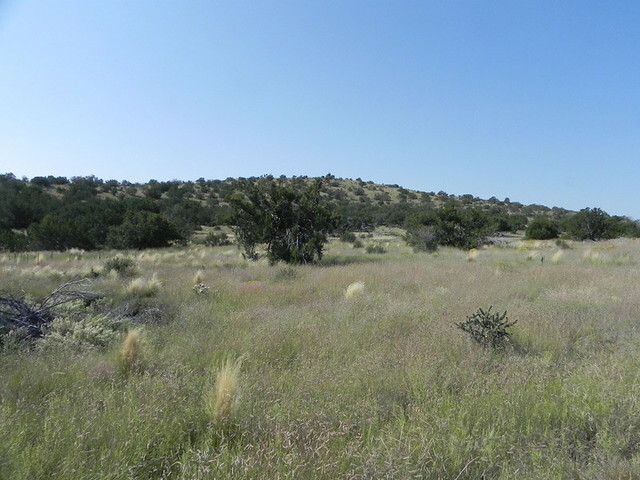 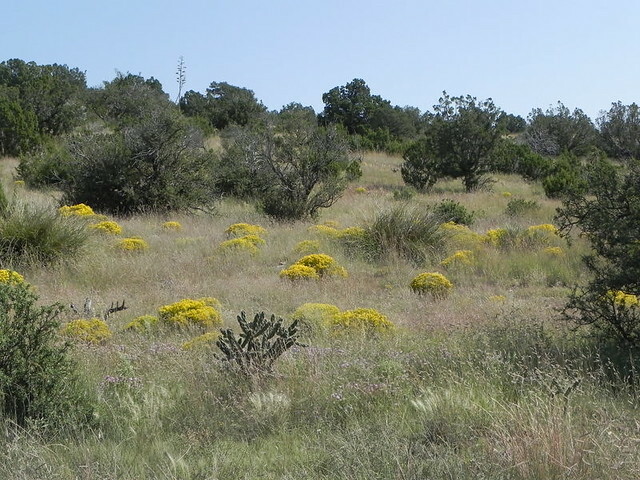 The Guadalupe Rim Ranch is located on the northern end of the Guadalupe Rim near Pinon, NM. Access to the ranch is on a county road that leads to the headquarters. 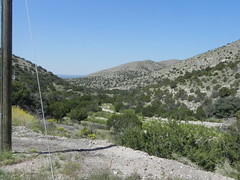 The terrain moves from high mountain draws to a large flat that lies below the rim. The prédominate grasses are Blue Grama, Black Grama, and Side Oats Grama; but there are also other varieties of grasses. 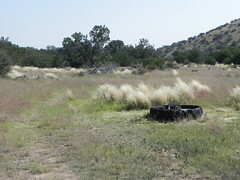 There is a shallow well at the headquarters near a spring on the neighbor’s ranch. This well supplies the home and immediate area. 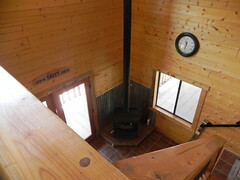 The water is the same quality as the adjacent spring. There is a large dirt reservoir on the ranch that catches water, which the owner then pumps into storage tanks. 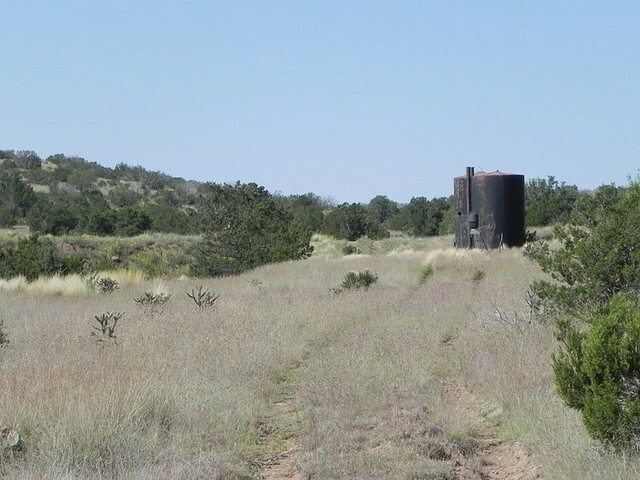 On the portion of the ranch that lies at the bottom of the rim, the owner hauls water to storage tanks. 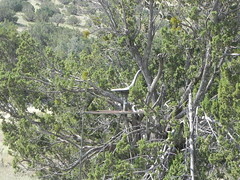 In previous years, the present owner has ran sheep on the ranch. 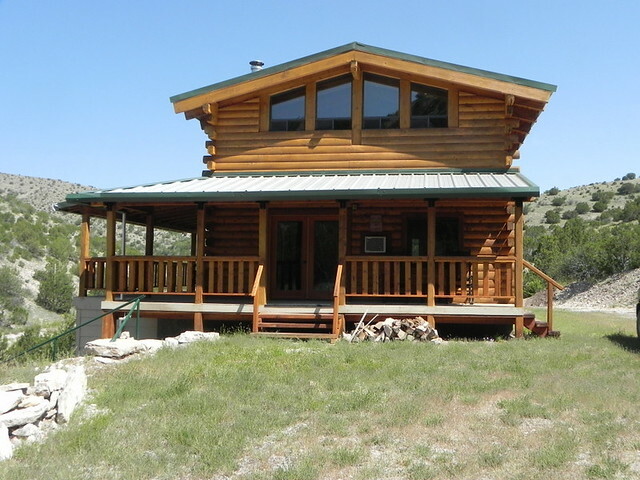 In the recent past, though, the owner has primarily used the ranch for recreational purposes. 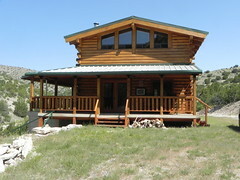 The Headquarters has a recently finished log home. This is a two-story home with one bedroom and bath on each floor. 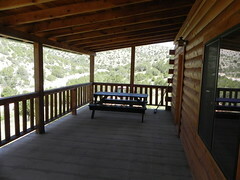 There is a wide overhang porch on two sides providing an excellent place to sit and look over the land below. 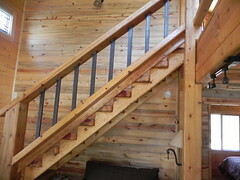 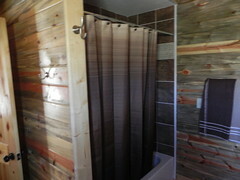 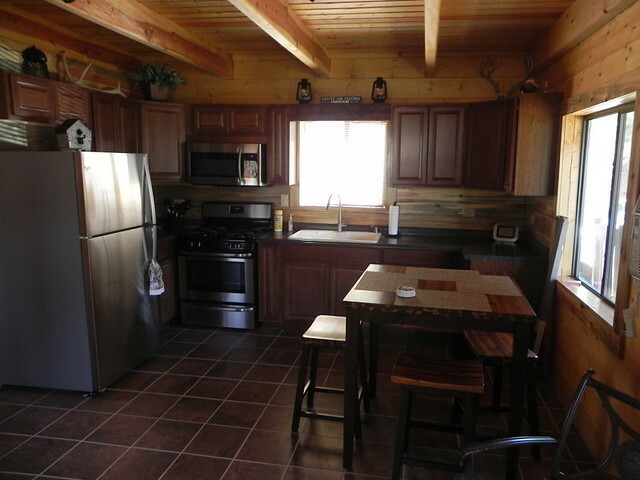 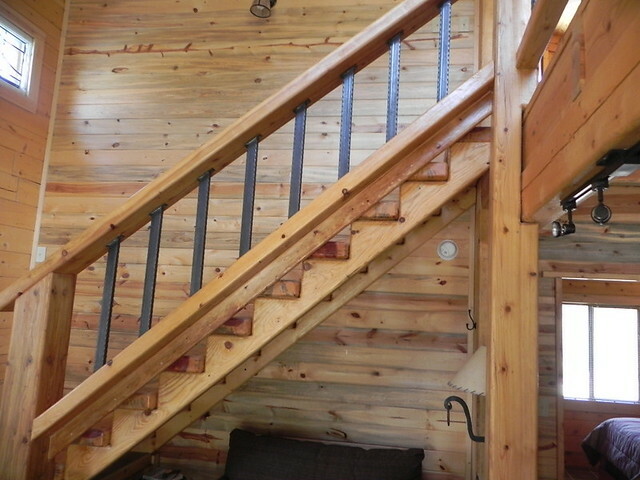 The interior of the home is finished with an unusual grey pine shiplap siding. A wood stove located in the corner of the living room heats the interior. 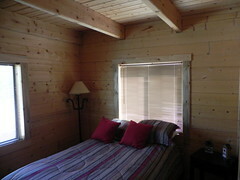 The ceilings are tongue and grove pine over rough cut beams and large log Vegas. 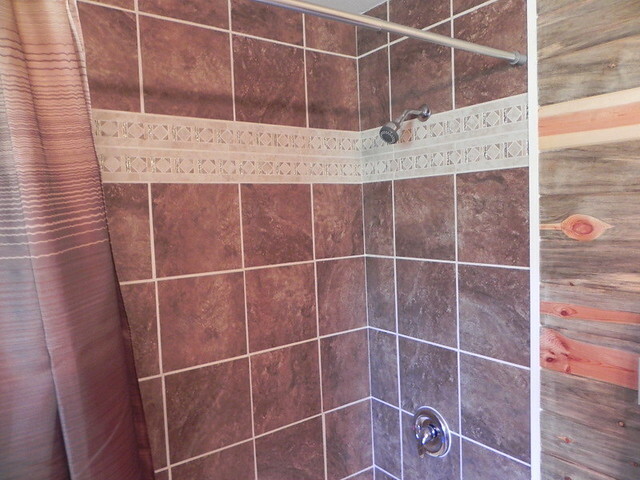 The flooring is 12” square dark ceramic tile. 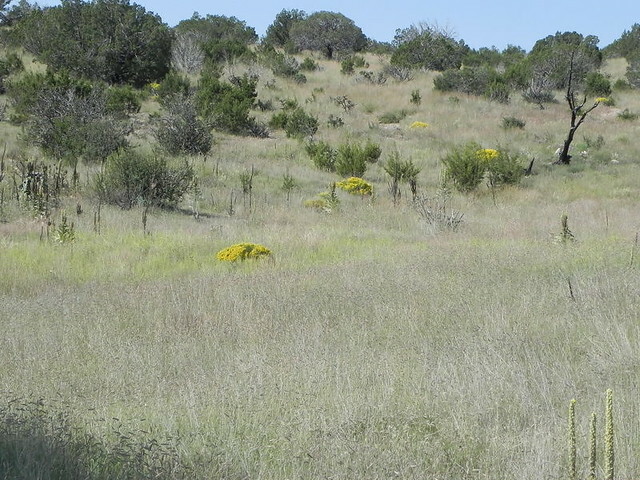 There is an abundance of wildlife on the ranch consisting of Elk, Mule Deer, Barbary Sheep, Quail and other species of animals. 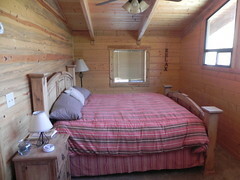 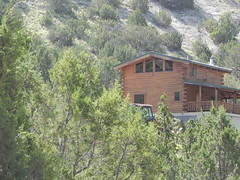 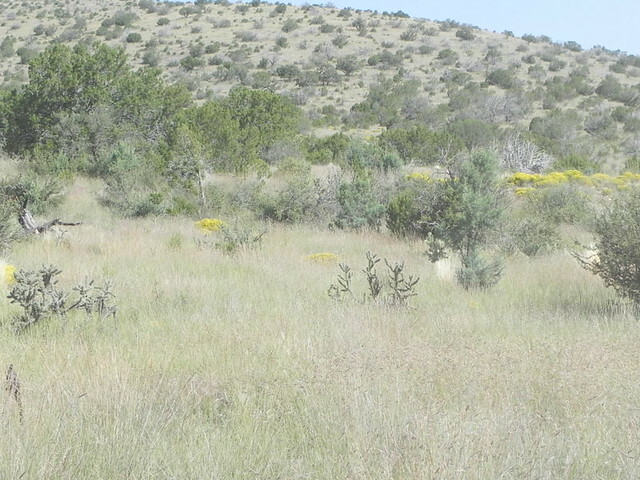 Because of the rim and the location of the ranch, it is a very private piece of property. 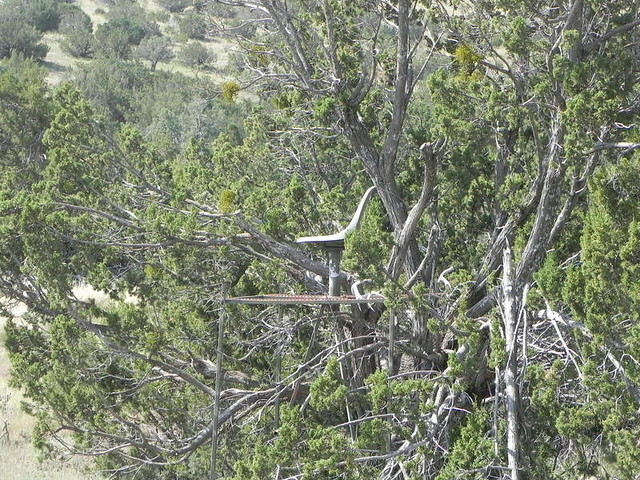 You can completely control access to the upper portions of the ranch. 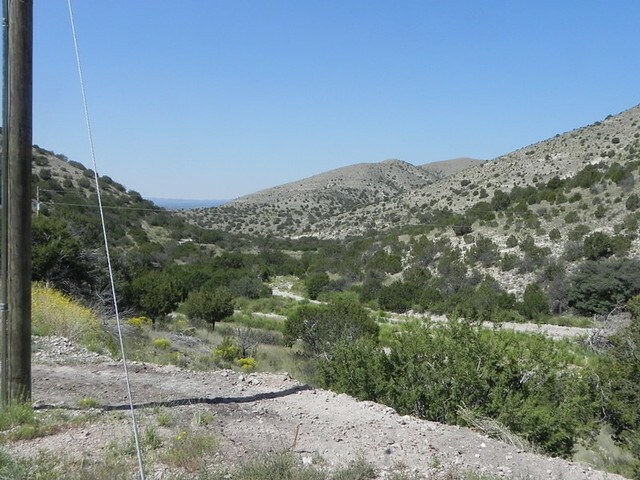 Plenty of wildlife make the ranch their home, but many more can be found during hunting seasons on public lands that are in close proximity to the ranch. 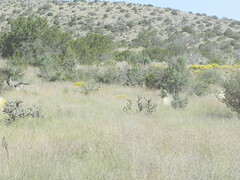 The wildlife tend to come to the safety and isolation the ranch affords. 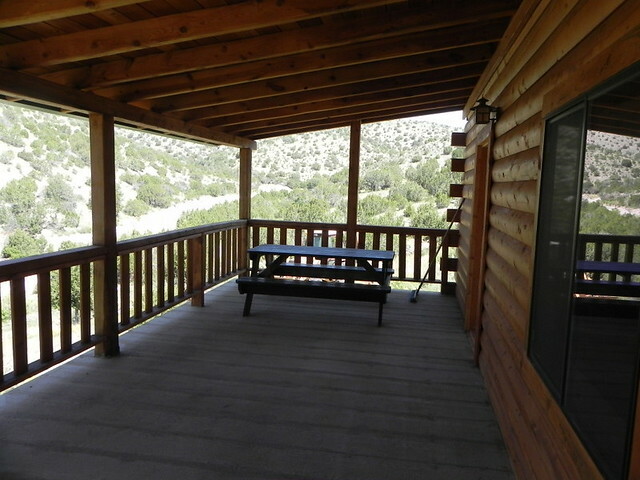 If you are looking for a private place with easy access on a county road to get away to hunt, spend leisure time or just to rest; this is the place. Even with the easily accessible county road, you have complete control over that access to the hunting areas of the ranch.